Camp Wyandot Day Camp | Camp Wyandot, Inc.
our overnight camp in the Hocking Hills! Metro Parks will be running their own Day Camp at Highbanks. Please contact them for more information if you are interested in staying at the Dragonfly Day Camp Site. Camp Wyandot Day Camp is open to all! Camp Wyandot membership or participation in Wyandot Explorer clubs is not a requirement to attend camp. We welcome campers who are members of Boy Scouts, Girl Scouts, 4H and other scouting organizations, as well as children who are not affiliated with a scouting program. Day camp is offered for six (6) weekly sessions from mid June through July in 2016. 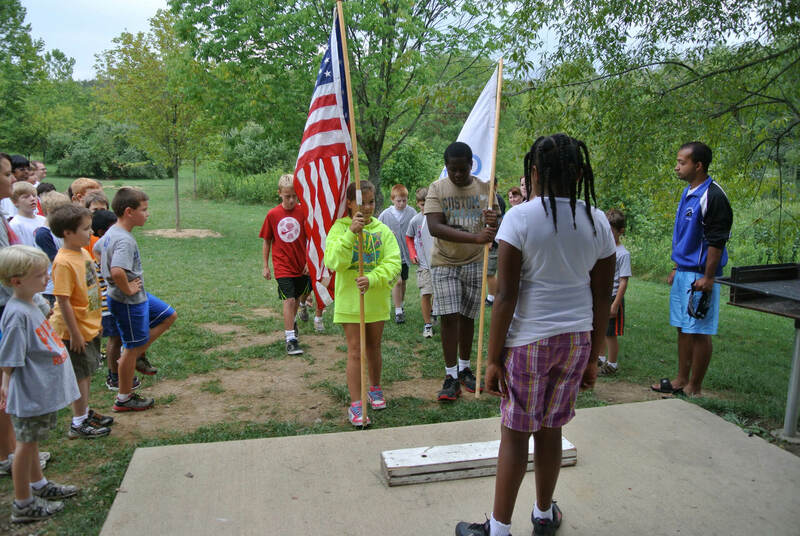 Camp Wyandot Day Camp will run Monday through Friday, 8:00 a.m. to 4:00 p.m. (camp drop off starts at 7:45 a.m.). Pick Up and Drop Off will be at State Rt 33 and Clear Creek Road and the campers will be shuttled to Camp Wyandot by our staff. Visit our Dates and Rates page for more information on our day camp schedule and rates. Please read our updated cancellation and refund policy below. Camp Wyandot Day Camp provides a wonderful opportunity for children to experience the joy of nature in a fun and safe environment. We focus on building outdoor living skills and developing a greater sense of self reliance. Campers will master new skills, try new things, and develop deep friendships. We value diversity, open -heartedness, and environmental sustainability and strive to instill these values in our campers. Youth going into grades 8 – 10 can participate in our Weal Program. For more information on the Weal Program, please click here. We are located in the Hocking Hills region surrounded on three sides by the Clear Creek Metro Park. Campers may stay late at the camp site for an additional fee. Parents will need to pick campers up at Camp Wyandot, no shuttle will be available. Cancellation policy – $50.00 of each session registered is non-refundable. Cancellation must be made in writing to the office 14-days prior to the week that you are cancelling. Email info@campwyandot.org. No refunds will be made to those who cancel after this date.